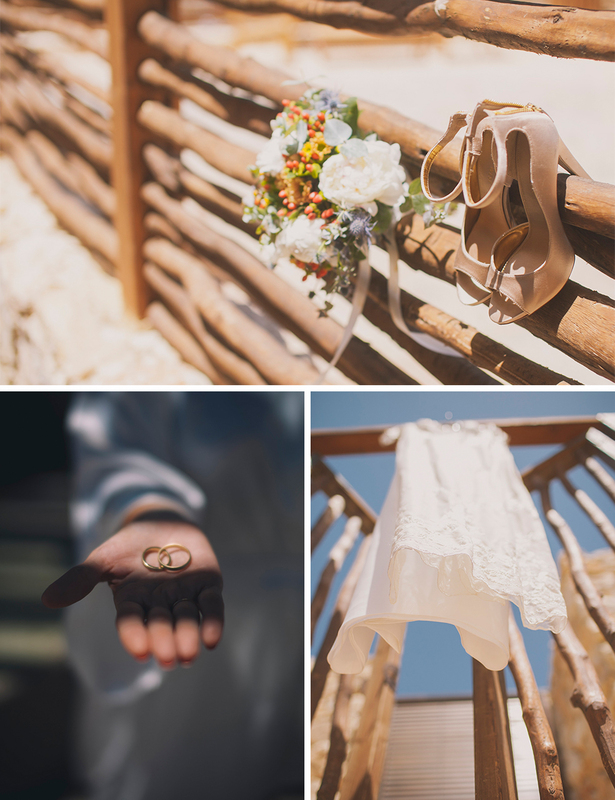 Michal & Samuel | Intimate Israeli-Swiss Wedding at Kibbutz Ein Gev, Sea of Galilee, Israel, with the bride and groom in flip flops! Michal and Samuel met whilst traveling across South America and dated long distance for some time, flying back and forth between Switzerland (where Samuel is from) and Israel, until they decided to make a life together in Tel Aviv. 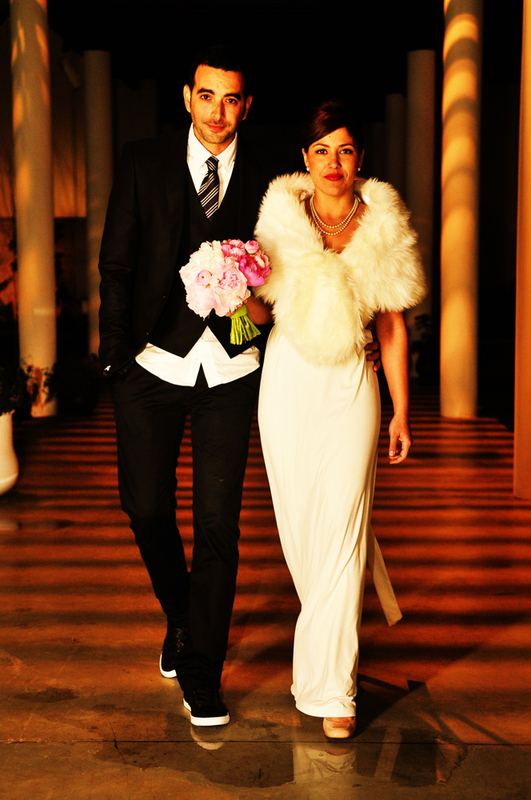 For their wedding they wanted everyone to have an amazing, relaxed time and didn’t want anything too formal or stuffy. 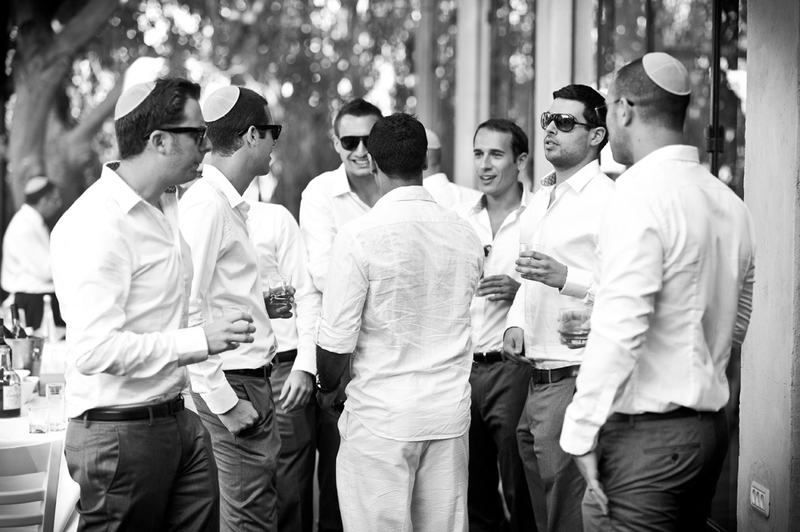 Their focus from the start was on food, drink and intimacy and they held their wedding where Michal grew up, and her parents still live, in a kibbutz in the north of Israel called Ein Gev on the shores of the Sea of Galilee (or Lake Kinneret as it’s known in Israel). 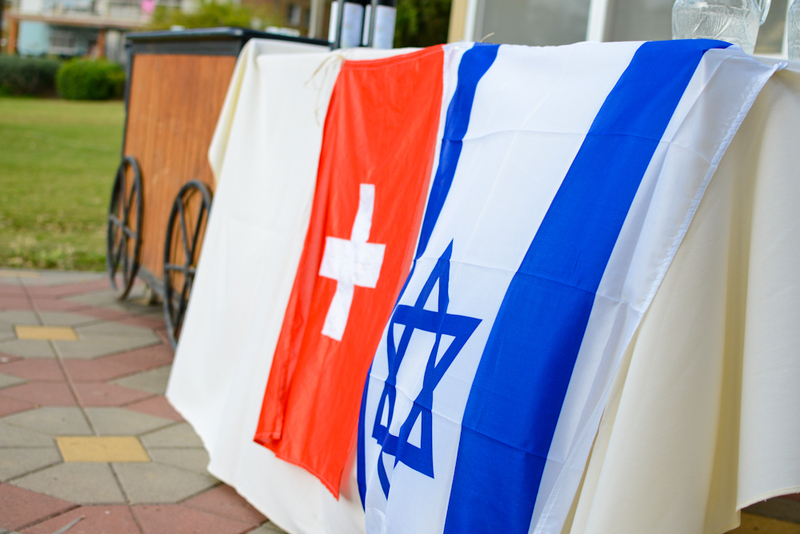 Samuel’s close family and friends flew in from Switzerland, and with the couple wanting to bring a mixture of Israeli and Swiss culture to their wedding, Samuel’s family brought over Swiss wine, cheese and meats for the party (all spread out and packed in their suitcases)! They also had what I personally think is a genius idea of an ice cream bar for dessert. 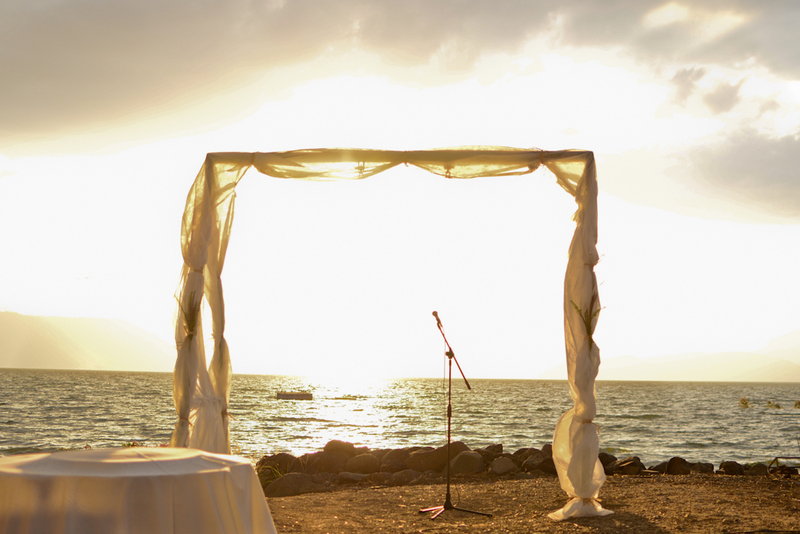 It’s a beautiful authentic wedding with the chuppah taking place just after sunset. 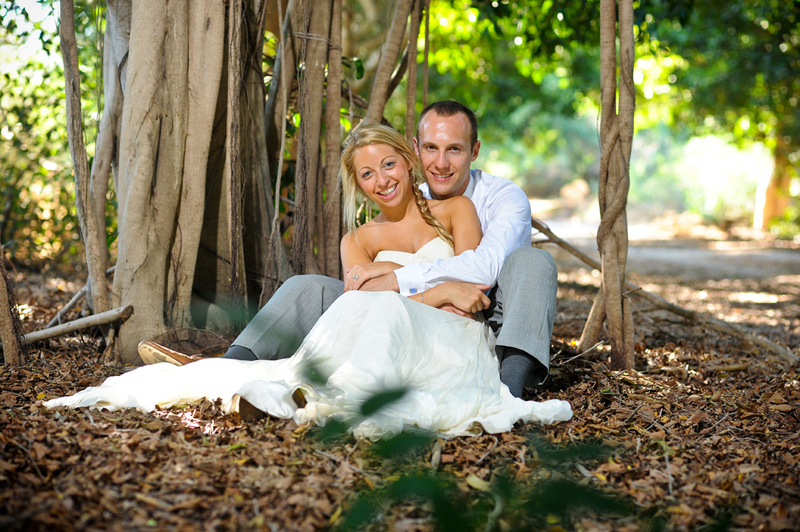 Michal, the Bride, is here to tell you all about it, along with images from the fabulous Newman Photography. 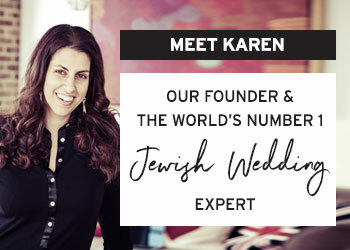 Today’s uber-stylish bride, Kim, was born in New Zealand to a non- Jewish family but has lived in Israel for the last 20 years. Kim says that she wanted to take the plunge and convert to Judaism for many years but never found the right time. So a few years ago, having dated her then-boyfriend, Shay, for three years, they decided that they wanted to get married and that it was the right time for Kim to convert. She studied and converted at Beit Daniel in Tel Aviv and officially became Jewish in May 2011. 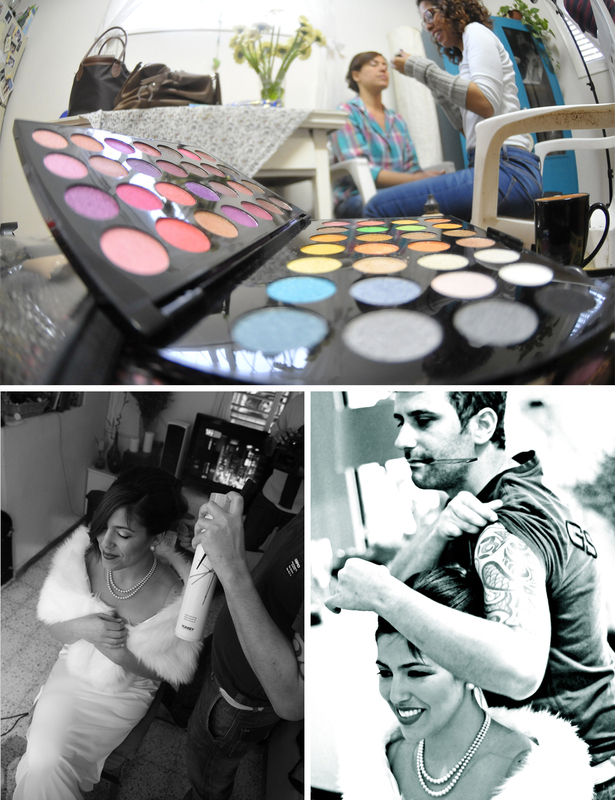 Kim, The Bride: We got married at Citrus in Even Yehuda, Israel. I wanted a classic wedding and loving the 1920’s, I adored the way the venue was decorated in an elegant soft way that complimented the whole vision that I had for the day. We also chose this venue because it was new and I had never done a wedding there. 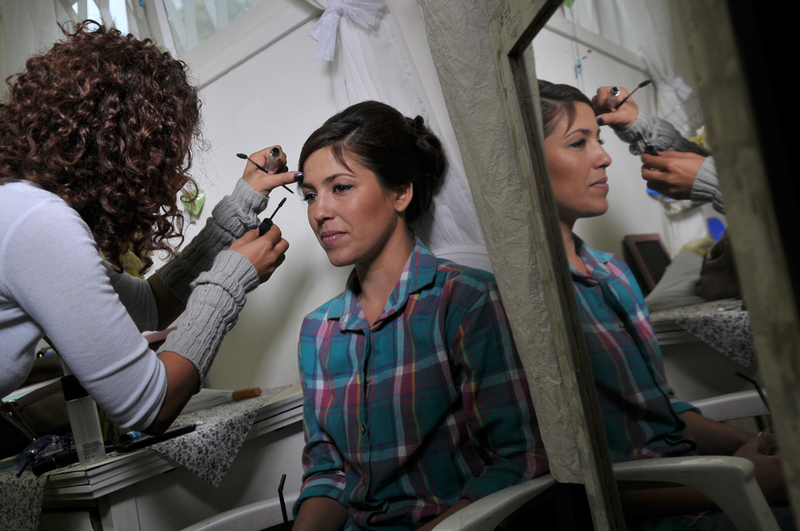 I wanted something fresh – I have been in the wedding industry for over 10 years now and done weddings in so many venues I wanted it to feel special for me and really different. It was a classic yet modern type of an affair and the decor included a lot of pot plants that created a softer natural look (and became great giveaways at the end of the night). My mother made my dress from a soft lycra type material with pearl button holes and a lace belt. I envisioned something simple and classic and I had seen a similar dress similar on a bride that I had worked with years before but I couldn’t find it anywhere. Lucky for me I could call upon my mother make it and I ended up with the perfect 1920’s styled dress! I matched a short net veil to the dress, and wore my grandmothers pearls to complete the look. 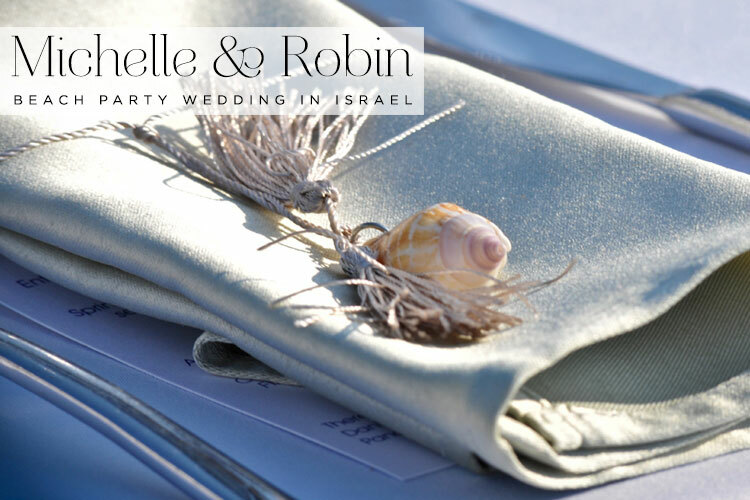 Today’s lovely couple, Michelle and Robin, met 10 years ago on an FZY Israel summer tour, so it seemed fitting that they’d return to get married in Israel, and they did it in style. They chose one of the most spectacular beachside venues I’ve ever seen: Al Hayam in Caesarea, Israel – totally breathtaking stuff, right on the seafront with Roman ruins all around. 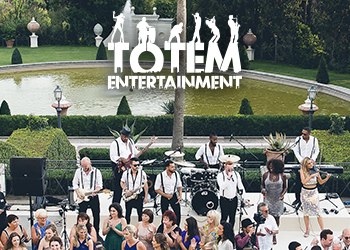 From the start the couple knew that their dream wedding would have to be by the beach and hired Israeli wedding planner Nikki Fenton to help them bring their wedding day vision to life. 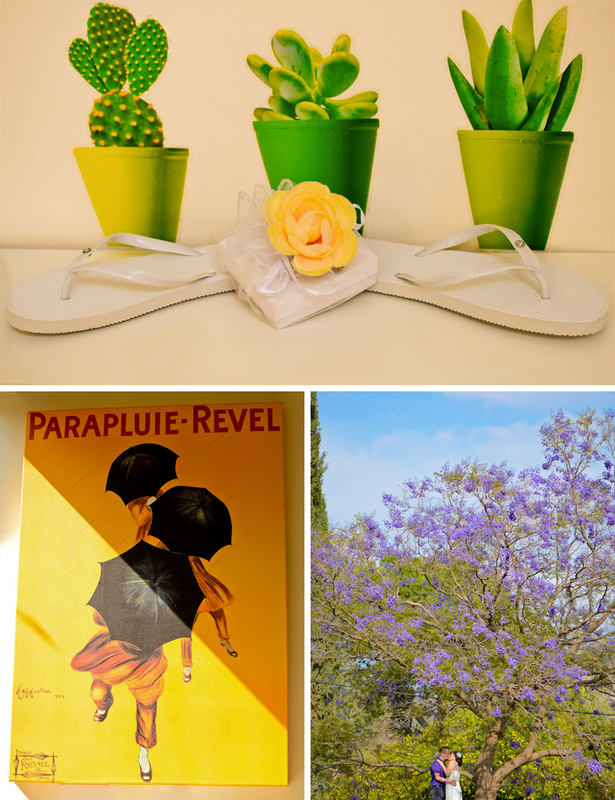 There are lots of lovely creative ideas to glean from this wedding, as well as thoughtful touches for guests like a welcome pack that included sun cream, a map of Tel Aviv, information on local shops and restaurants and then at the actual wedding, guests were given fans and flip flops, as well as lots of midnight sustenance like hot dogs, sweeties and ice lollies to keep them going all night long! 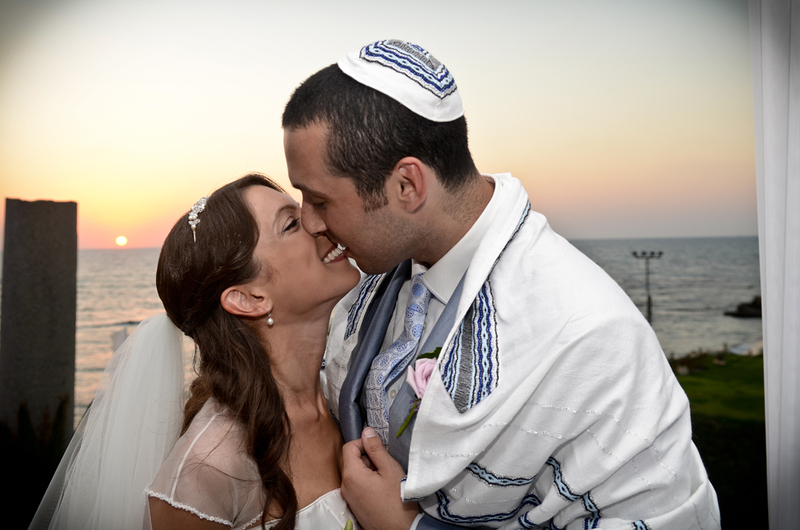 Michelle, the Bride: We chose a venue called Al Hayam in Caesarea. 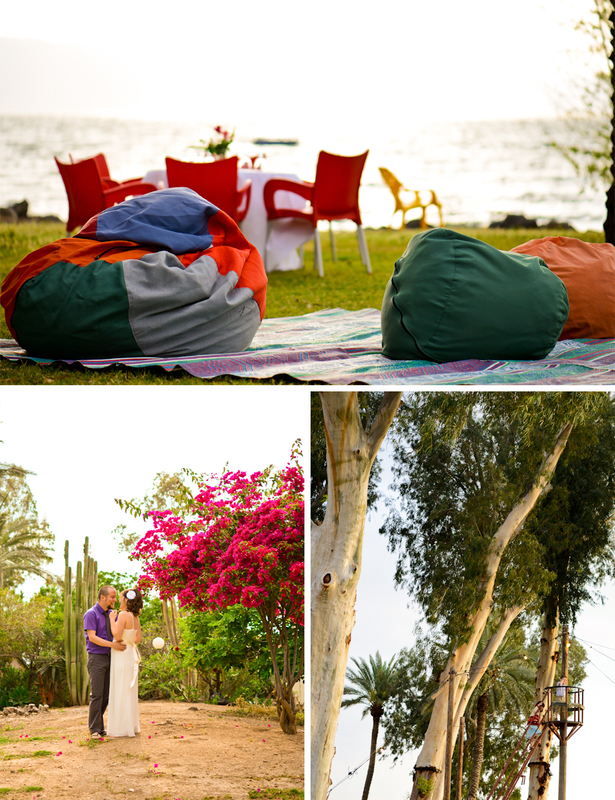 We knew we wanted a beach venue and Al Hayam has the added beauty of being surrounded by Roman ruins next to the sea. Within 5 minutes of meeting our amazing wedding planner, Nikki Fenton, she knew exactly which venue we would fall in love with and she was right! 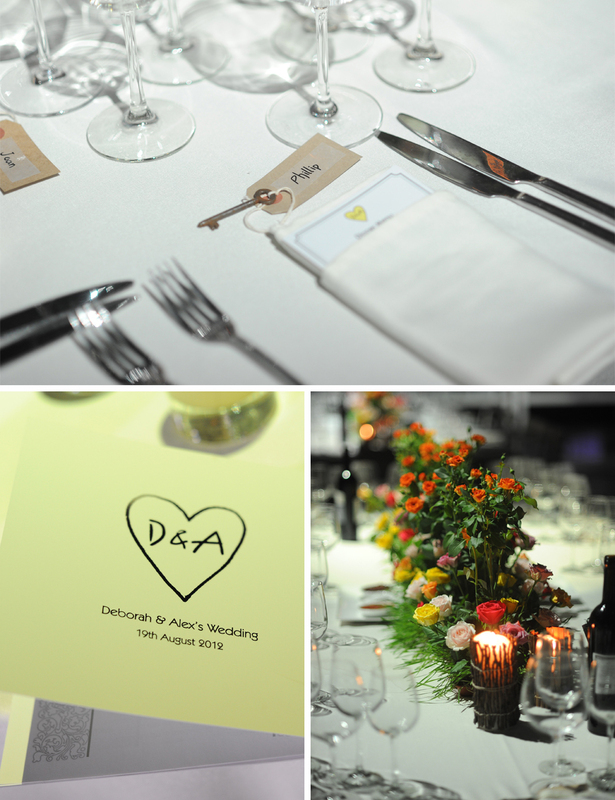 We chose a colour scheme of purple, white and silver – we loved the idea of purple and white flowers everywhere and we ran the colour scheme right from the beginning with the Save The Date cards and Invitations arriving in purple organza bags with shells at the bottom of each bag. 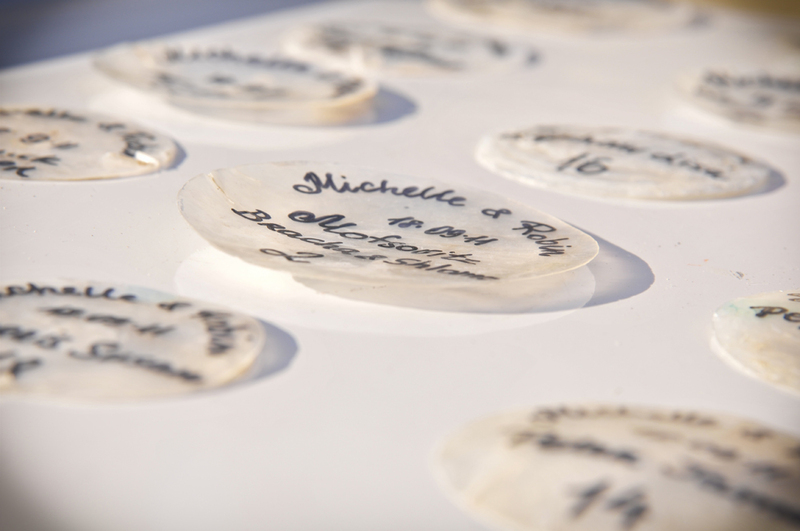 Nikki introduced us to an amazing event designer, Natalie Mann who designed all aspects of our wedding. 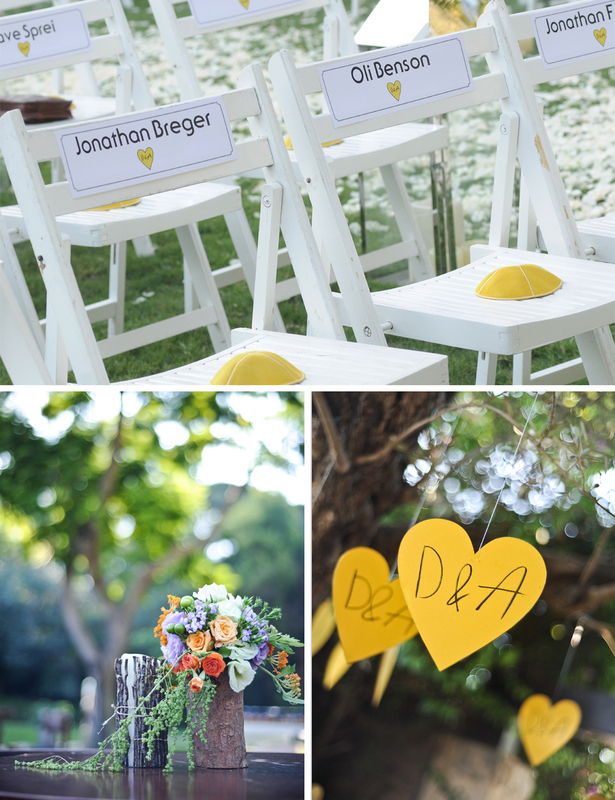 When it came to the chuppah she gave us options of the different types of flowers we could use. 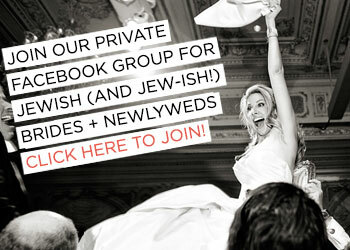 Natalie met us at the venue and took us through hundreds of pictures to inspire us with our chuppah design. We decided on purple and white flowers (lizianthums, roses and gypsofilia) across the top of the chuppah with two smaller arrangements to match on the inside back legs. 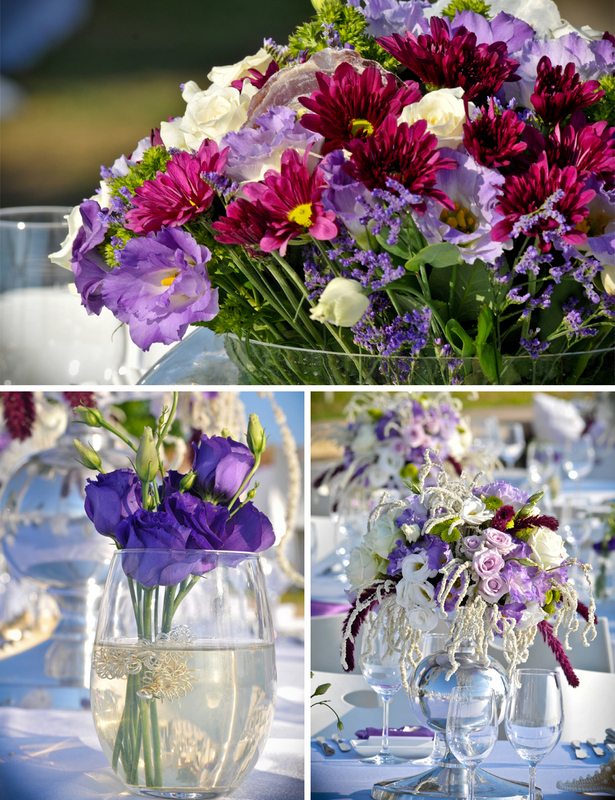 Flower arrangements were placed on either side of the chuppah and we also had purple flowers on the back of each chair. Isn’t this photograph one of the most dramatic wedding portraits you’ve ever seen? 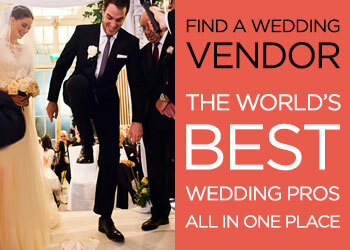 Well if you’ve ever thought of getting married amid a breathtakingly beautiful primeval landscape ie. 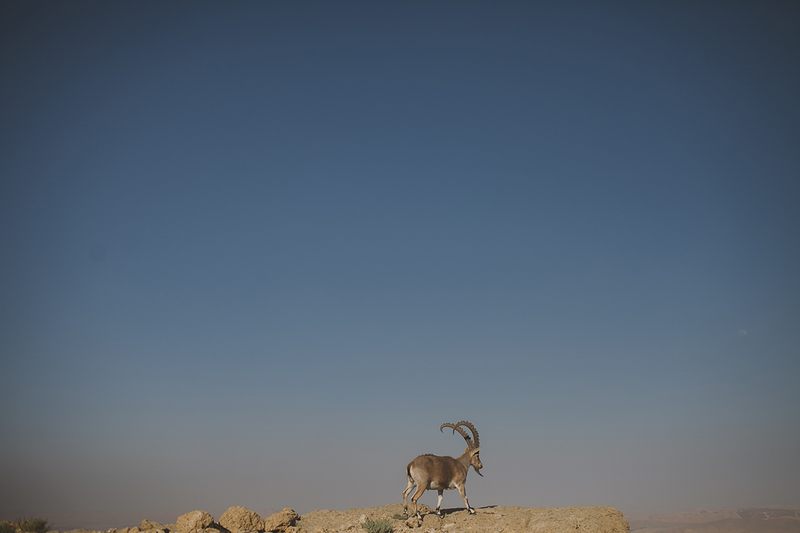 *the desert*, and you choose the oh so talented Dima Vazinovich as your wedding photographer, then that’s the kind of shot you’ll end up with! 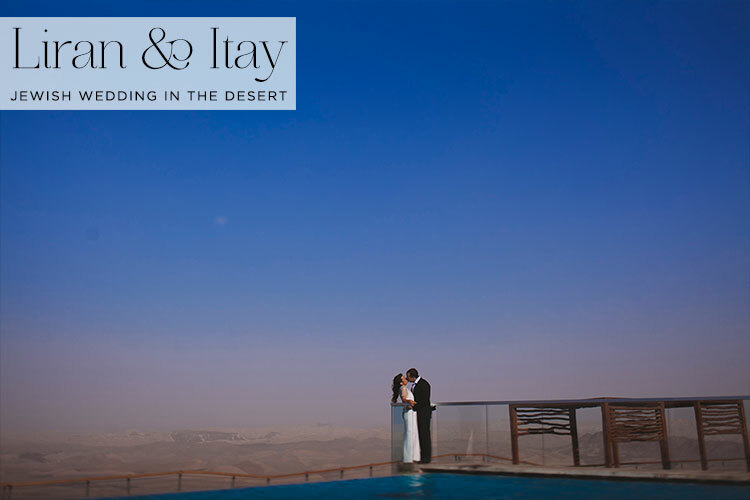 Today’s gorgeous couple, Liran and Etay, chose the Beresheet hotel, a destination spa hotel in Israel’s Negev desert, as their wedding venue as they wanted somewhere where they could relax and enjoy quality time with their guests over the course of a few days, and additionally somewhere that reflected their modest and serene personalities. Liran, the Bride: Well before Etay popped the question we started talking about having a destination wedding and getting married somewhere abroad. 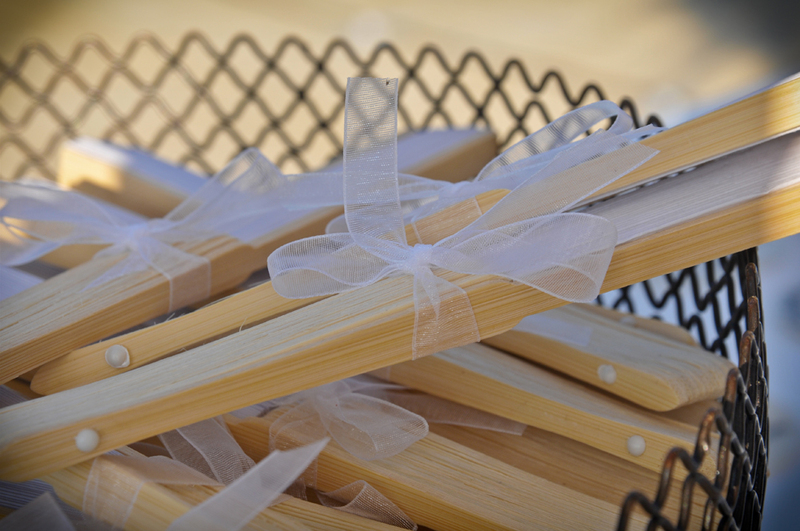 The idea was that our guests wouldnÊ»t feel like theyÊ»re at a wedding but like theyÊ»re on a little holiday (weddings go so fast we wanted to enjoy time with our loved ones over the course of at least a couple of days and hang out at ease as much as possible). 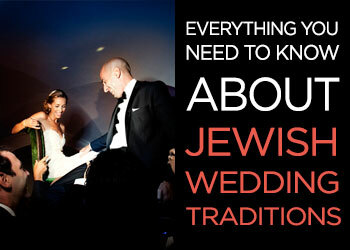 Having gotten engaged and established an idea of guest count we realised that we needed to find a venue in Israel. 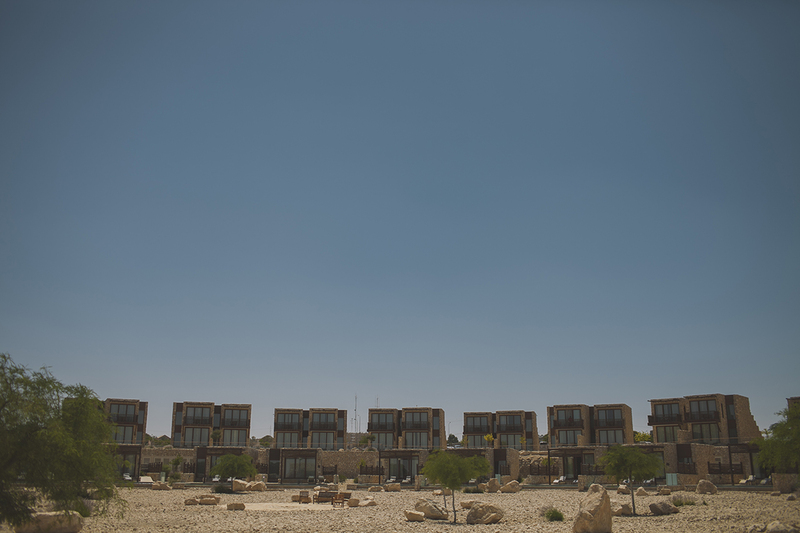 Last year we enjoyed our stay at Beresheet Spa Hotel in Mitspe Ramon so much that we decided that this would be the best place for us: peaceful, calming, romantic and the exact sense of beauty that we were looking for.